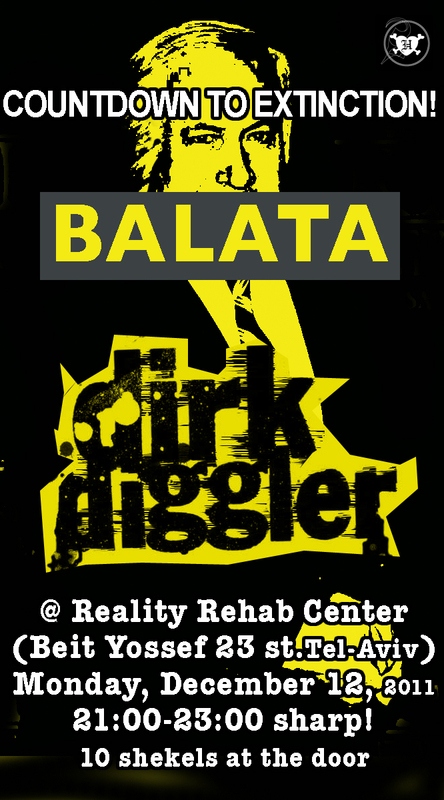 We’re super-excited to announce the upcoming Balata show alongside Dirk Diggler at the Reality Rehab Center this Monday. It’s been a while since both bands performed, and we are anxious to play and try out the cool rehab center. It’s a good opportunity to share two recent reviews that Balata’s debut album received on Julian Cope’s Address Drudion and Orlando’s finest doom blog. 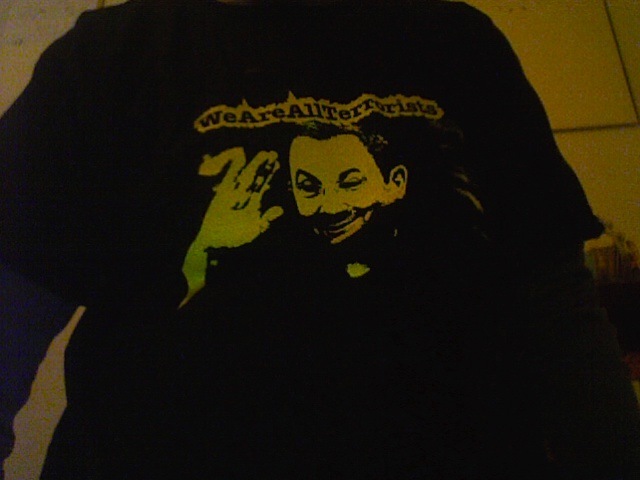 And that’s not all: We also have a “We Are All Terrorists” t-shirt (see picture below) for sale now. Come on Monday and be the first to acquire this exquisite garment! Monday, December 12, 21:00–23:00 (sharp!). Reality Rehab Center, Beit Yossef 23 (under the Norman bar, not far from the Minzar), Tel-Aviv.